An extraordinary winter sighting of five Sperm whales off the coast of North West Scotland this week could be a reflection of climate change and warming sea temperatures, says a leading marine scientist. The Sperm whales were first seen by creel fishermen between Loch Torridon and South Rona on Monday, according to a report on the Wildlife Extra website. The fishermen initially thought they were Humpback whales and alerted boat operator Nick Davies from Hebridean Whale Cruises, based at Gairloch, who is involved in a project collecting data for Sea Watch. He went out to the location, and when he arrived was astonished to recognise Sperm whales diving together for food – the first time he has ever seen them. 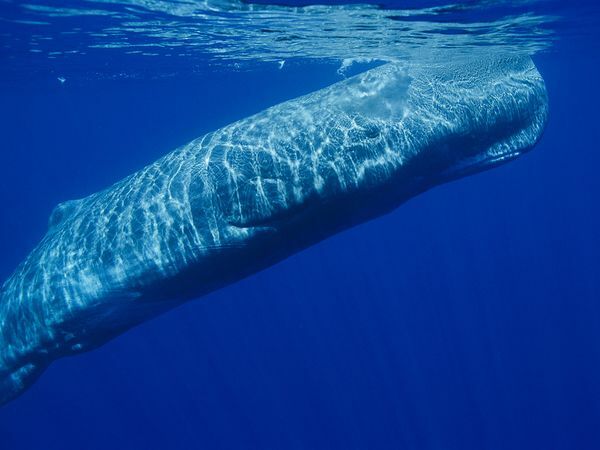 Dr Peter Evans, director of Sea Watch, says: “In past decades, most records of Sperm whales in British waters have been of lone adult males around Scotland mainly off the Northern Isles and the Hebrides. Increasingly, however, adolescent males have occurred in our waters, sometimes in groups of 5-10.